You are one of the TIME BARONS, shadowy figures who have shaped mankind's destiny since the dawn of time. People are simply pawns in your quest to defeat the other barons and become the ruler of a unified human race. War, religion, technology - all will be used in this ultimate battle. As a time baron, only you can decide the best way to exploit your loyal followers and make the most of the many powerful cards you are dealt. Will you upgrade as rapidly as possible, hoping to obtain that technological edge, or punish such folly with primitive weapons and fanatical attacks? Will you be relentless in your aggression or build an economic advantage? 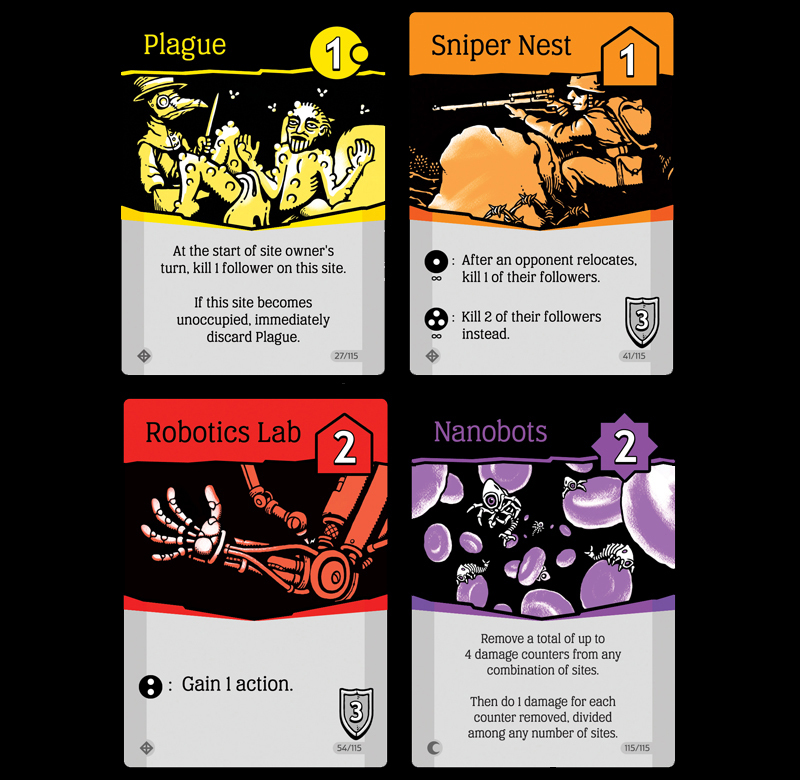 A variety of tactics are available to you at every turn, and you may find yourself putting bubonic plague on your opponent's robotics lab to slowly kill off the workers there, or attaching a computer network to a medieval church to automate the conversion of new followers. In this brutal struggle, many will die... but good planning, quick thinking, and a little luck will carry the day! Cards in time barons come from 4 different time periods—medieval, industrial, modern, and future. See what the online community thinks at our official BoardGameGeek page. "It's one of the best card games we've played in a long time filled with a ton of replayability and a new fully fleshed out team variant - this is a fantastic evolution of the print-on-demand classic." "Time Barons strikes a tricky balance between providing depth and complexity, while not sacrificing the fast pace of the game...[It] is a great evolution of the print-on-demand game, with a tight combat mechanic that scales up nicely for a different number of players and modes. Its game play is easy to grasp, while the variety of powers and strategies ensure replayability." 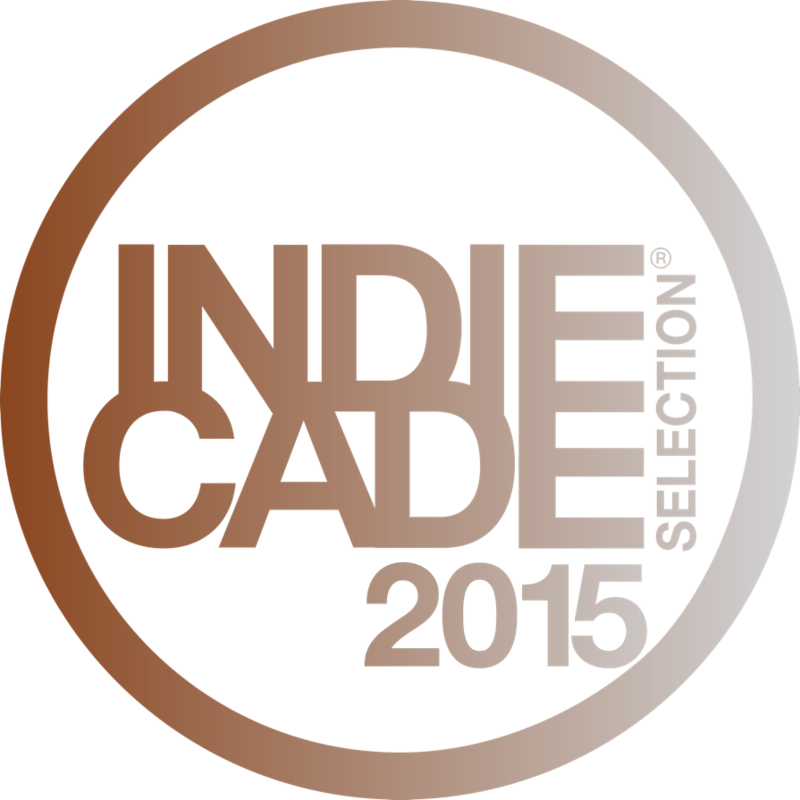 "Time Barons is easily one of the best games I've played in the last year. It's quick to pick up and play, sure, but underneath that simple exterior beats a cruel, nasty, brilliant and beautiful heart. You MUST own a copy. Not should. MUST." "The design excels with its blistering pace and unabashed interaction." "It’s a simple game to learn, but it offers surprising depth." "This is a fantastic game which both myself and my game group are thoroughly enjoying. With all the games that are published each year it is becoming increasingly difficult to find the hidden gems, but Time Barons is definitely one of them and it will be staying in my collection as one of my favourites. So if you fancy a fast paced, two player battle game with strategic depth that completes in 30 minutes then you need to look no further than Time Barons. (9.2/10)"
"I believe this could be a major game-of-the-year contender. It’s hands down the best two-player card game I’ve ever played. (10/10)"
"I’d have to recommend Time Barons. It’s a high energy two player jaunt through the ages that you’ll want to explore time and time again. The number of strategic options are plentiful and interaction between players never lets up... Seriously, if you’re a fan of confrontational two player games, this one should be on your list – and believe me, this is confrontation at it’s finest!" "I really liked Time Barons. If you are in the market for a two player game you need to check this out." Time Barons was designed by Jon Perry and Derek Yu and is currently published by WizKids.